Brian has over 14 years of experience in marketing, market research, retail, manufacturing and consumer packaged goods. He loves building relationships with clients and helping them find opportunities to maximize the success of their business. 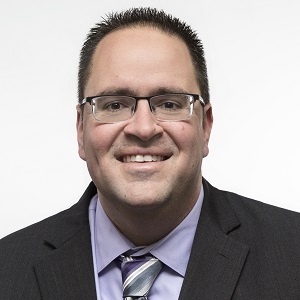 Prior to joining Avantis, Brian started his career as a Marketing Manager and Category Manager in Ecommerce with Sears Holdings. Brian then took a position with The NPD Group. During his time with NPD, he worked with multiple retailers where he was responsible for helping his clients make key decisions to create a better shopping experience for their customers and drive overall sales. His experience in CPG includes working for StartSampling and Nielsen. His time here provided him the opportunity to work with multiple CPG companies. Brian also worked with CROSSMARK where he was a broker for Kimberly Clark. Brian received his BA degree from Western Illinois University. He loves to play a variety of sports and is a huge fan of the Chicago Cubs, Bears, Blackhawks and Bulls. More important than anything is his wife Laura and 3 boys Preston, Chase and Parker.